Connections in spirit, Love & the celebration of life with David Richard Saturday night June 16th Brisbane. Have you ever considered what happens to a soul when they return to spirit? The guardian energy who are they. 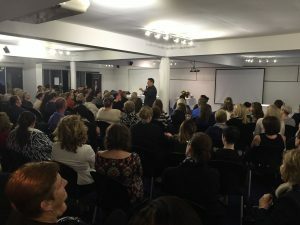 These are just of the topics we cover during our Mediumship seminars. Profoundly moving and uplifting, it’s an experience not to be missed even if you do not have loved ones close to you who have passed – you will still love it! 13 years ago I experienced death (Yes I REALLY DID DIE). This experienced propelled me on a magnificent journey of discovery full of insights I could never have imagined. At a deep level of knowing, I gained an understanding of spirituality and Universal realisation. Now 13 years later and a life time of research have given me a profound understanding and realisation of who I am and the universe. The true mechanics of the universe, is Karma real? Metaphysical beings, the truth about the spirit world, our current reality, our souls & who are we? Who and what is God? What happens next? Is heaven real? Spiritual guardians who are they, soul groups and soul pods, who are the old souls? animals and their importance, why planet earth, 4 key emotions of living beings, Psychic abilities and developing them, our current reality, the power of selection taking manifestation to a new level, 4 levels of consciousness, Conspiring with the universe, opposites of life, how spirit communicate and many more topics. The tools and understanding discussed in this unique “I AM” program have the ability to change your life and help you achieve your goals. A truly fascinating and eye opening experience. 4 hours seminar. Is death the end, entering nothingness or is there and internal spark that lives on beyond our physical self & is this what they call the soul? What is death like? Do we really die? What is the spirit world? Do we remember? What is it like in spirit? The journey from one world to the next are just some of the topics covered in this fascinating and mystical journey of the afterlife. 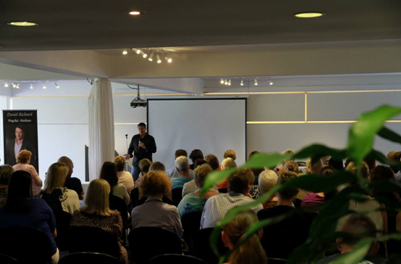 David is available for mediumship demonstration for a personal group of people selected by you, up to 50 people. These events are available from several professional event locations in Brisbane prices start from $850.00 for the total group. Who is David Richard Psychic Medium?